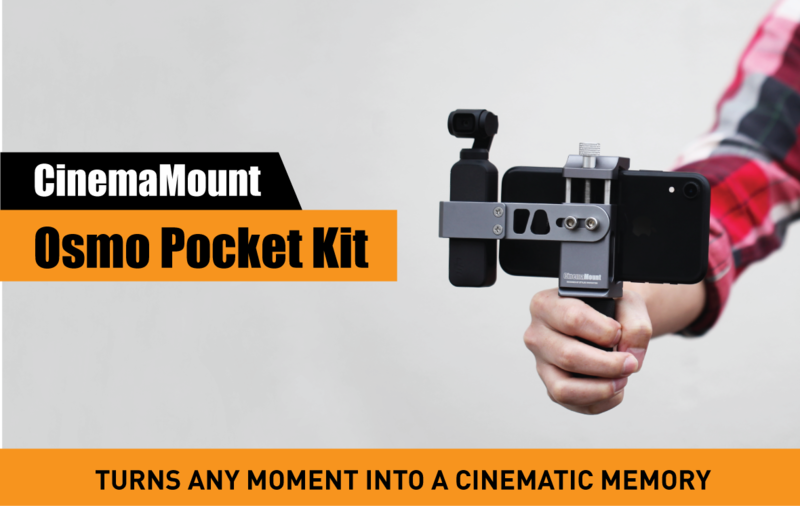 The Cinema Mount is designed for multi-task rig system that works with most phones in the market today. 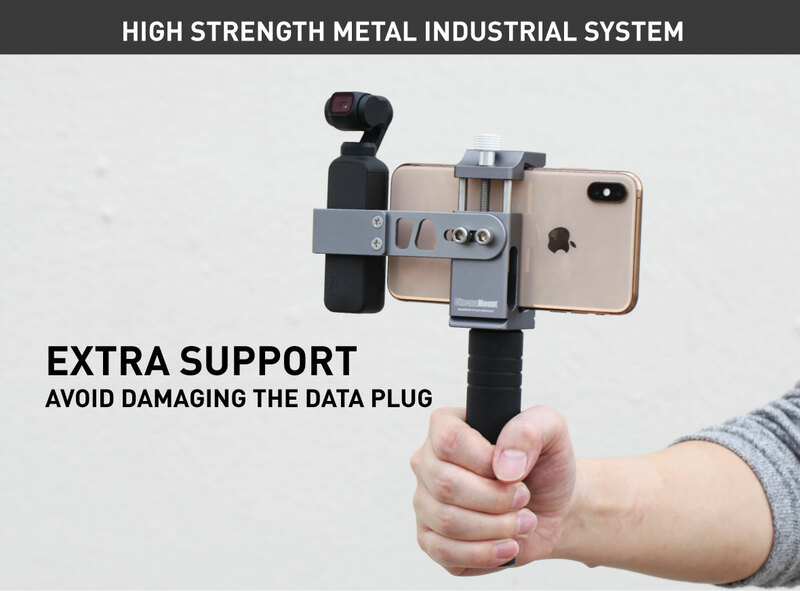 It made from aluminum and stingless steel hardware. 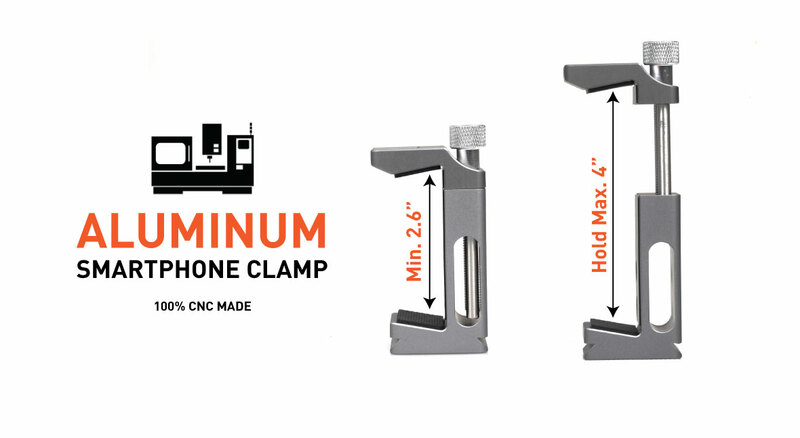 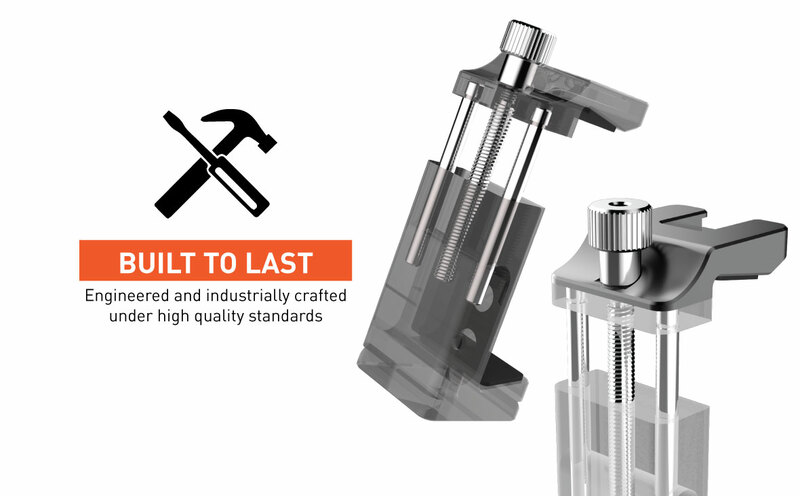 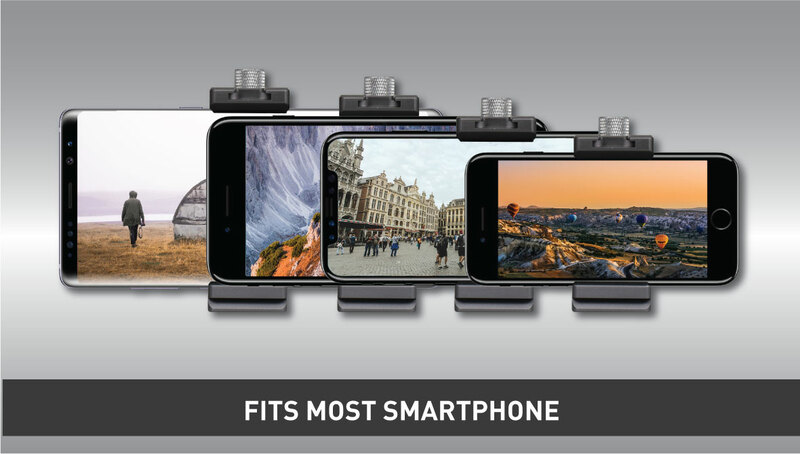 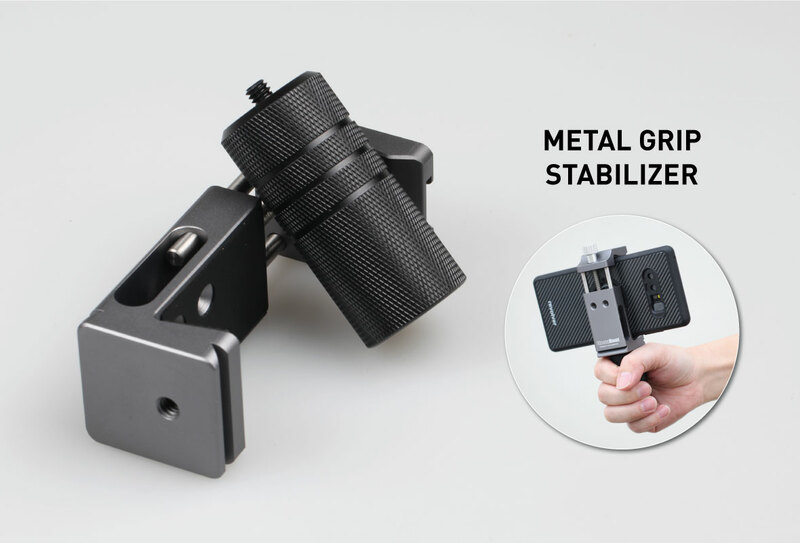 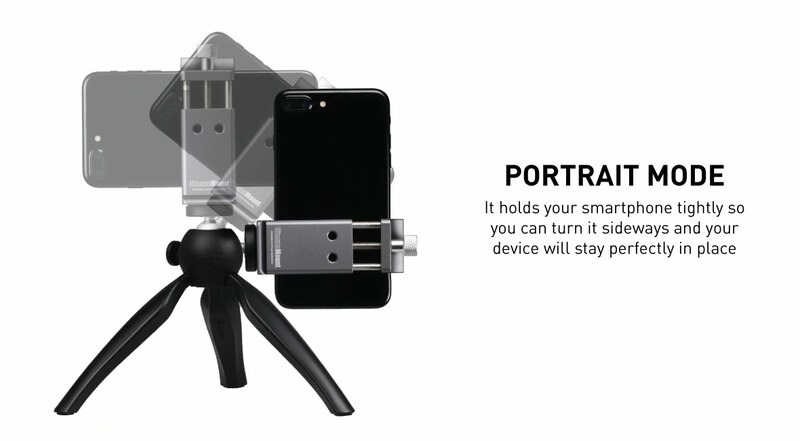 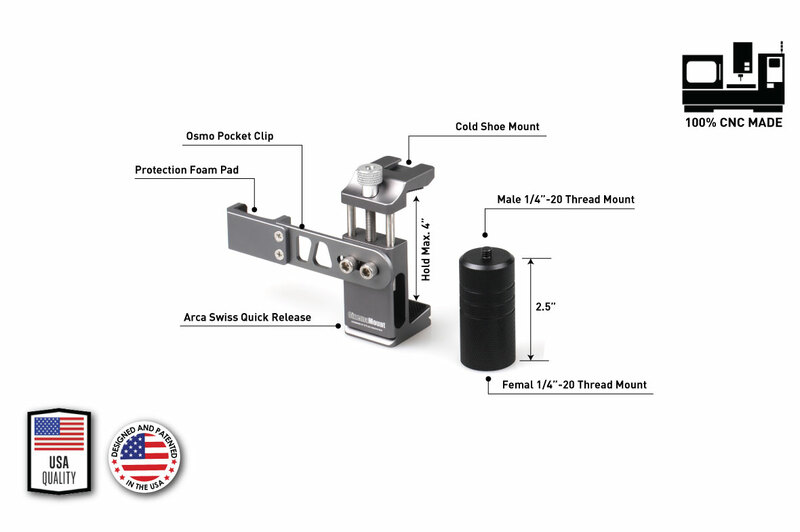 The clamp SYSTEM ensures that a wide range of phones can be secured to a perfect fit with the Cinema Mount rig system. 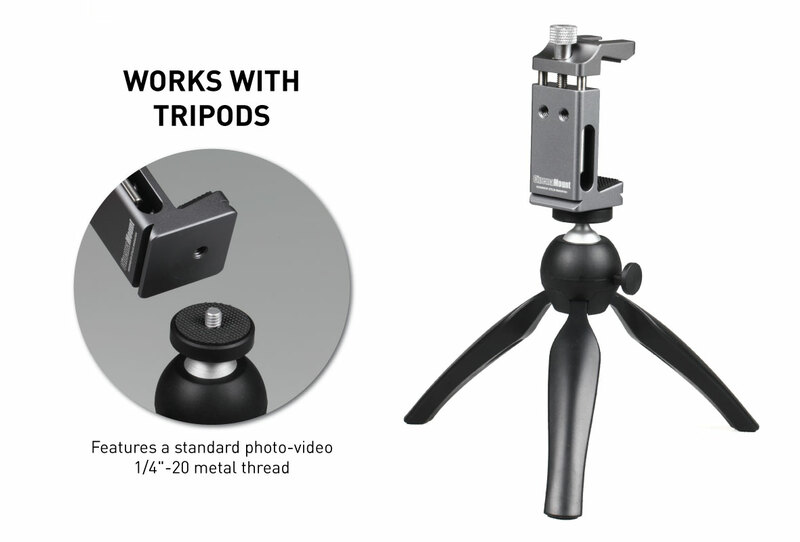 Don’t worry about messing with different tripod plates and mount the Cinema Mount Rig directly into your Arca-Swiss tripod. 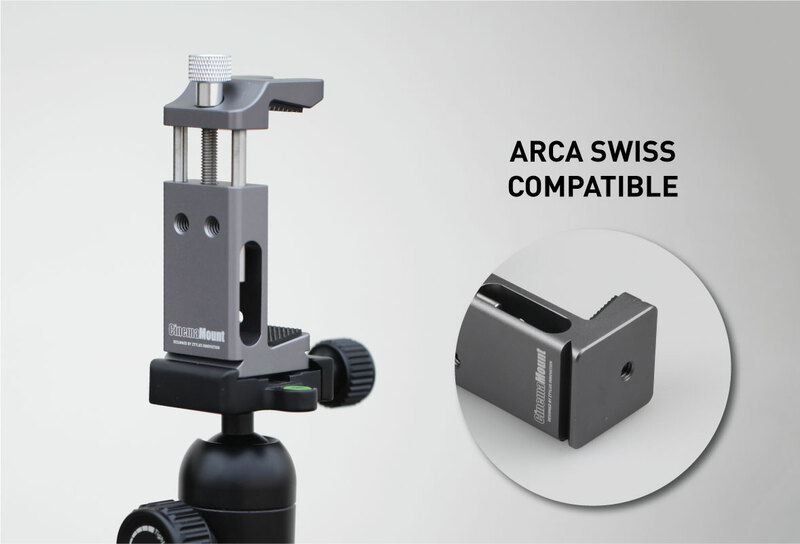 The Cinema Mount Rig is Arca-Swiss compatible so you can quickly and easily go between the rig and your tripod. 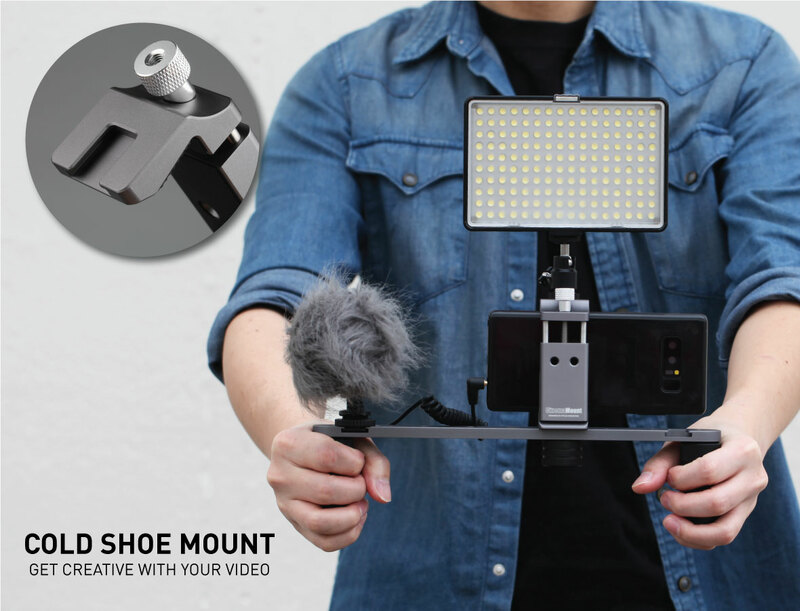 Mount lighting, microphones, and other accessories to the cold shoe mount for added flexibility. 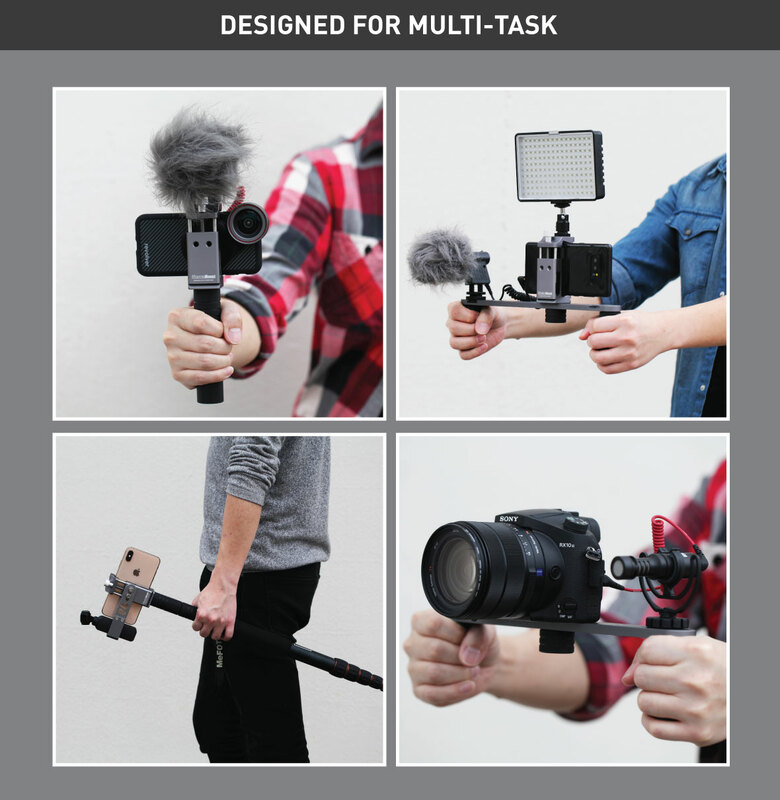 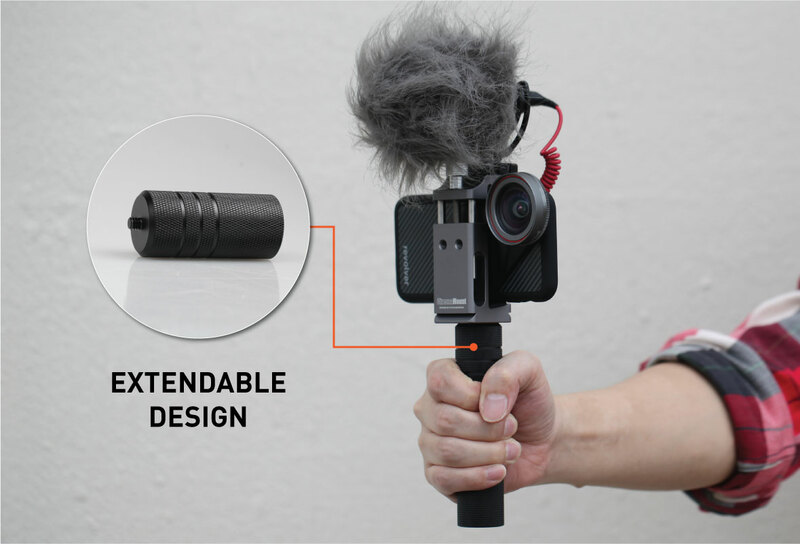 Get creativity with your video accessories to get that perfect shot. 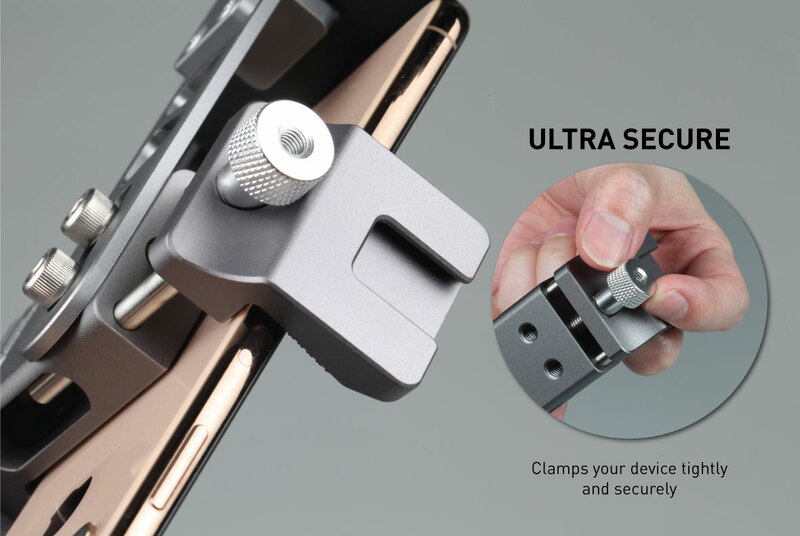 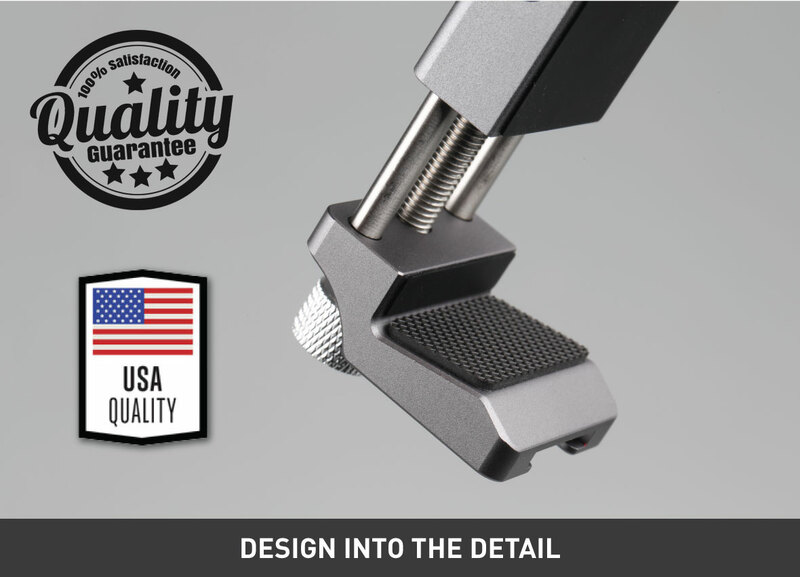 The clamp includes rubber pads to grip your phone securely without scratching your phone while in use.